In his role as a Trainee Legal Executive in our Business Team, Luca is passionate about helping our clients to resolve their legal problems. He carefully listens to our clients to understand what they are looking to achieve with regard to their dispute and by working with them to put forward their best case. Luca specialises in contentious and non-contentious employment law matters for businesses, business to business disputes and business to consumer disputes. He also deals with contentious probate disputes and land disputes such as boundary and right of way issues. Luca provides a tailored service to all his clients by working in a way that suits their personality and the nature of their case. He enjoys working in dispute resolution because its varied nature allows him to practice in many interesting areas of law. Luca received his LL.B Law degree at the University of Derby and is an associate member of the Chartered Institute of Legal Executives. He is undertaking further training to qualify as a Chartered Legal Executive. 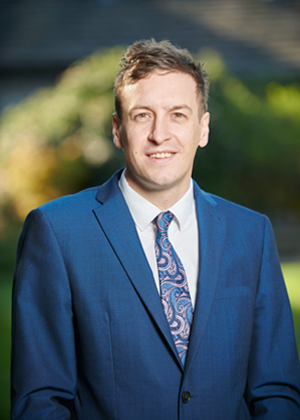 Luca grew up in East Yorkshire and has spent his entire legal career in the region with roles in Bridlington, Knaresborough, Leeds and now Skipton.